The newly formed committee met on 9th January in the Parish Centre, Tuam. After Adoration there was a brief introduction from each one, Sr. Anne Maria opened the meeting with the word “Jesus taught from the boat and said to Simon: “Put out into deep waters……..” (Lk 5:4-10). As we reflect on the word, is the Lord calling us to move out of our comfort zones? Let go of our fears, resistances, plans and preconceived ideas? So that we are can launch out into the deep? Jesus emptied himself becoming a servant and that is what we are. After the prayer and reflection Sr. Anne Maria encouraged and emphasized how important this work is, it is the Lord’s work but in conjunction with our Priests. The Lord’s word to St. Margaret Mary is relevant “This heart that loves so much and so few love in return. I have a burning desire to be honoured in the Blessed Sacrament”. 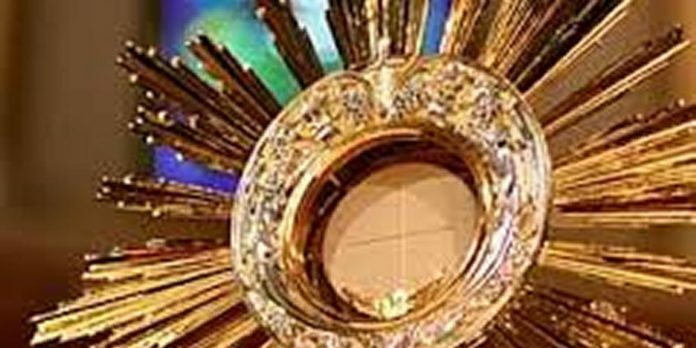 This is what we are called, chosen and commissioned too; this is our ministry/mission to the Apostolate of Eucharistic Adoration, first of all an invitation to each of us so that our own hearts and lives are changed as we spend time in Eucharist Adoration? Awesome! Thanks to Archbishop Michael Neary for opening doors to Eucharistic Adoration with his Priests within the parishes.  His prayerful support, blessing on the Apostolate as Brendan Cleary and John Howard trained and formed us to renew and set up viable weekly Eucharistic Adoration in parishes at the invitation of the Priest. Mike Kumar, RIP: has left the Archdioceses a great legacy. He gave so much to promoting and setting up Adoration while on earth may he now experience the Beatific Vision continuing to adore the Lamb of God around the throne. Cannon Kelly and Jimmy Kelly were also thanked together with so many of the previous teams who worked quietly, praying and promoting viable Eucharistic Adoration. A special thanks to Fr. Pat Farragher. Also to Marie, David and their son for taking care of us at the Parish Centre. In response to the five parishes awaiting presentations for Viable Eucharistic Adoration was tremendous and we move forward with those. Prayer is our weapon–We are simply God’s servants ….one sows, one waters but God gives the growth.. Jesus Christ is the one and only foundation and no other foundation can be laid”. (1 Corinthians 3:5-11). In this year of Mercy Pope Francis is calling us to confront the attitude of indifference. “The Zeal to carry Evangelization to the ends of the Earth, comes from Contemplation and Adoration of the Lord Jesus Christ”.